I like the extra expansion as I've had a knee replacement that developed a staph infection so my ankle swells by mid day & these hose don't feel tight. i knew what I was looking for and wanted to try. I lived have removed ankle highs from their shelves. I need to have everything I wear to match. If I wear a color and don't have socks to match, these anklets do the trick. They don't leave a ring around my ankles as so many others do. I wear with summer pants for dress wear. I still gave it 4 stars as I'm sure some women may like this style but I'll seldom ever use these with the shoes I planned to wear them with. These hose offer light support and eliminate some swelling. Not the best I've tried, but not the worst. I purchased supposed ankle high before that ended up at my knee, which I cannot wear. I was glad that this product was what it stated. I was hoping the top of the ankle hose would be comfortable but it actually was tight and left a mark on my leg. I am not a diabetic but was hoping the hose would be as comfortable as a sock but it was not because of the top band. Have trouble finding diabetic hose. Looks like something I would use. Because I need them and cannot find in any store in town. For going out or just around the house ,I have swelling leg and ankle problems. My mother wants to wear anklet hose. She has swollen ankles. I'd been looking for them and this is the only place I could find them. hopefully, they will be more comfortable than the non-diabetic ankle-high nylons. Mom has neuropathy in her feet caused by severe back problems. Regular socks are too thick and cause her additional pain. Hopefully these will help. I was happy to find the diabetic ankle and knee-high hose. I have never been able to find before. 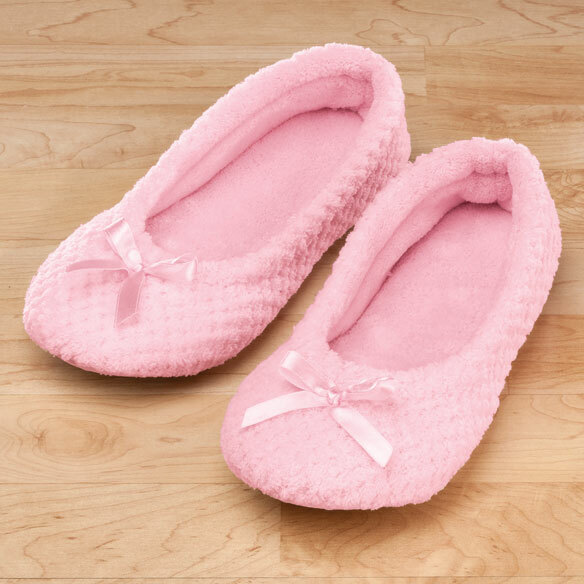 I have a 96 year old stylish friend who has circulation problems and I'm hoping these will give her the look and comfort she's looking for. I'm also hoping they won't cut off her circulation! hoping they are made looser at the top for wider legs... should be if really made for a diabetic who tend to be overweight. I need comfortable stockings that don''t constrict me legs. 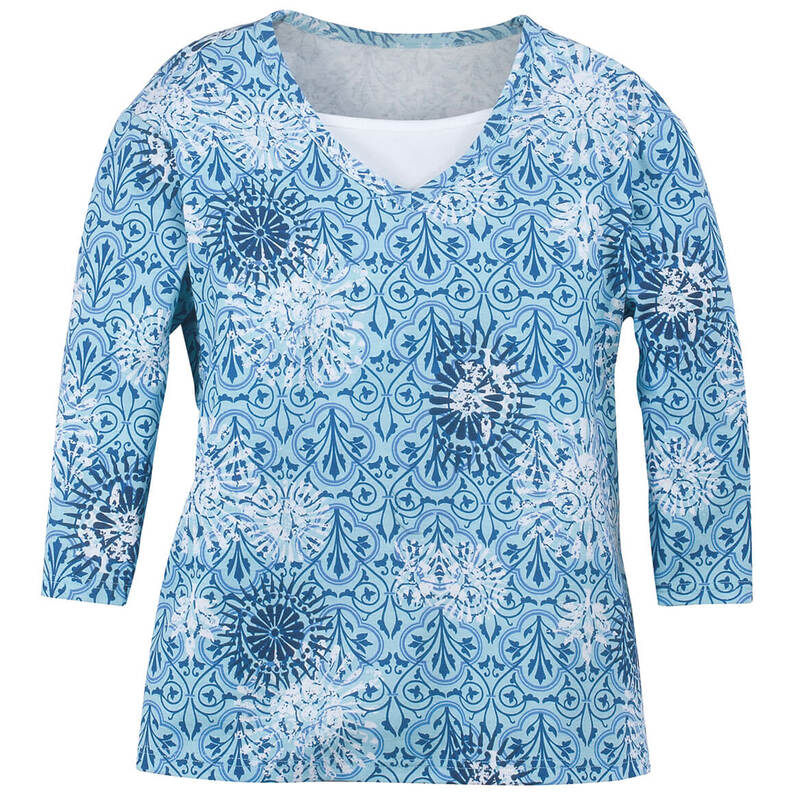 I've had a knee replacement and unfortunately a staph infection in the same leg, and need diabetic style tops as my leg swells. These stockings are more comfortable than the ones that come all the way up to the knee! In my case I have large calves.and sometimes the knee highs bind and become too tight. Need these and could not find in local brick & mortar stores. Once again for my feet comfort. Non-binding on calfs because they are low. 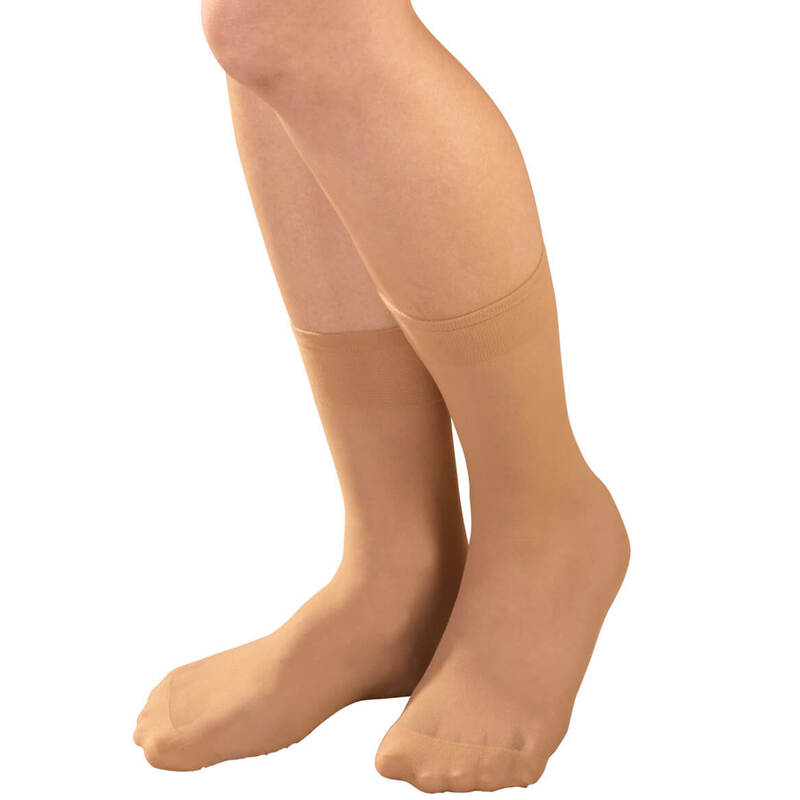 I need the support of these nylons to help my swollen legs and ankles. My ankle was crushed in an auto accidents 14 years ago & I cannot find the thin material ankle support any longer that I use to get from the doctors office and this looks like it will work, so I am going to give it a try. I want to try them out. I have diabetes and am on my feet a lot. Also ordered for my sister, who has fibro myalgia. This is one of the items on Miles Kimball that I've come to consider a standard. They stay up without pinching. No more indents around my ankles at the end of the day. I'm very happy to be able to get these. Wife is diabetic and has been looking for these. This is the only place I have found these for such a great price. I am hopeful it will meet my needs. How long are these socks, how far do they go up the ankle? from my heel nit went up 5 1/2 in. I find them to low and i preferred the knee highs. They are more comfortable and not tight at all around the top. I hope this is a help to you. They come up about 6 inches on my leg. 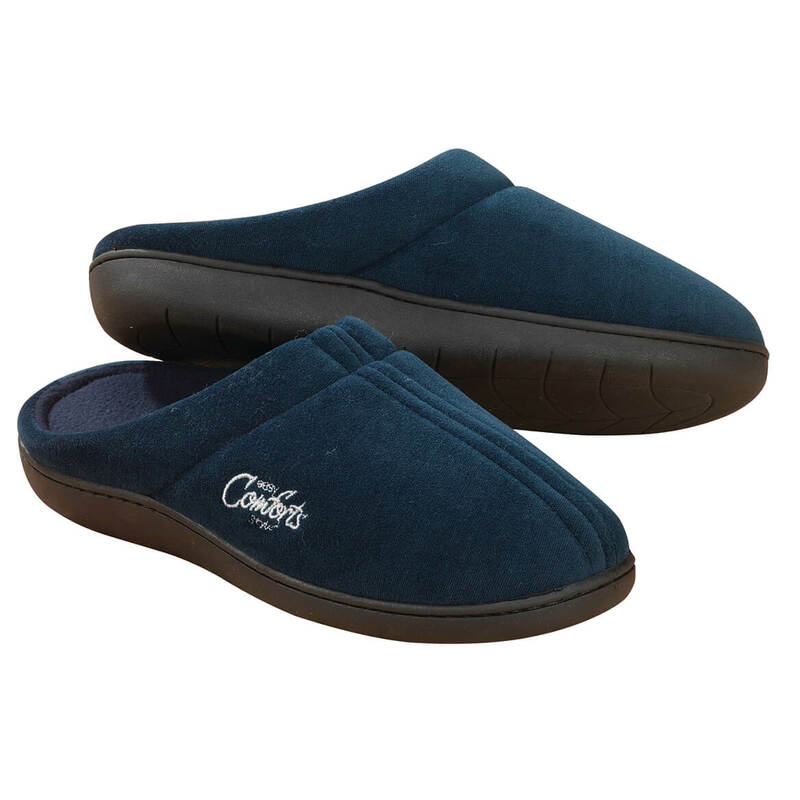 Cushion every step in style with Easy Comforts Style™ memory foam slippers! 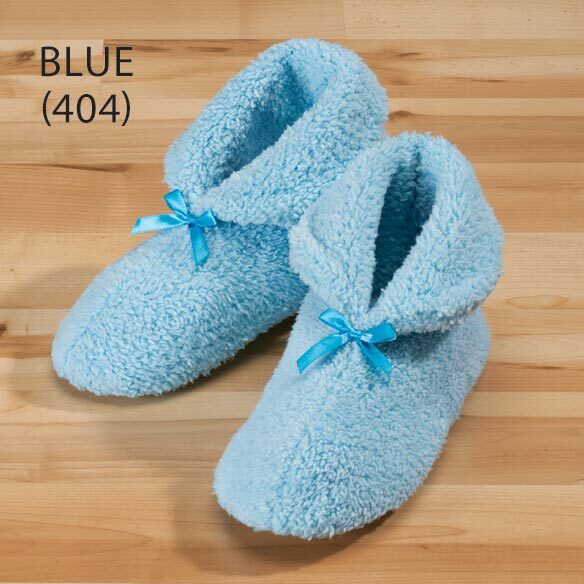 These super-comfy slippers have a removable memory foam insole and a non-slip indoor/outdoor outsole. 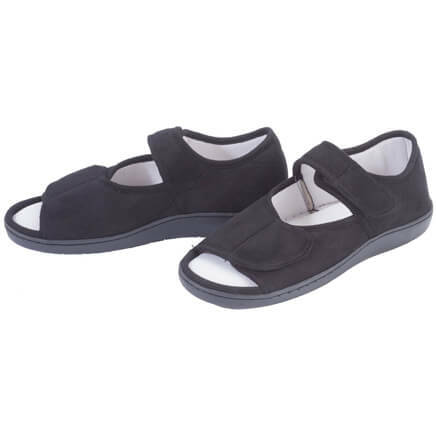 Polyester upper/cotton lining is spot clean. Imported.